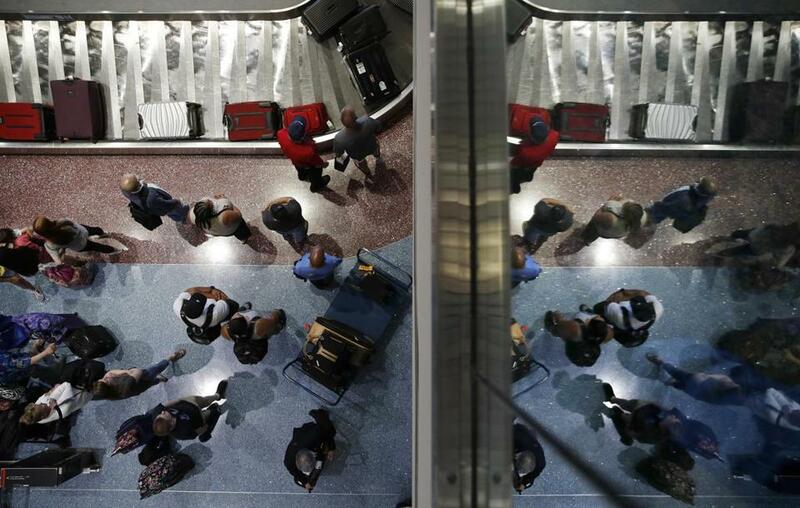 Passengers waited for baggage at McCarran International Airport in Las Vegas. “Quiet Skies” is a program in which federal air marshals follow, and collect information on, ordinary US citizens in airports and on planes. Those followed are not on terrorist watch lists or suspected of crimes. About 35 people a day are being secretly surveilled by small teams of armed, undercover air marshals. About 5,000 unsuspecting people have been targeted so far. Critics are questioning the program’s effect on people’s privacy and civil rights — and whether it’s making flying safer. How are the people picked? All US citizens who enter the country after foreign travel are screened for Quiet Skies. 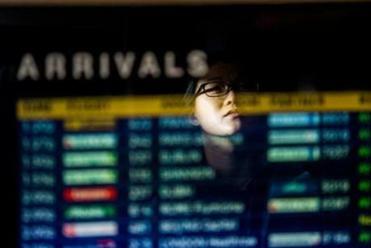 The program relies on 15 rules to screen passengers, according to a US Transportation Security Administration document obtained by the Globe. The document says that “rules may target” people whose travel patterns or behaviors match those of known or suspected terrorists or people “possibly affiliated” with someone on a watch list. Officials have not released the full set of rules. Those who are picked from the list are surveilled on their next domestic flight. What exactly do the air marshals do? The teams secretly document whether passengers sweat, fidget, use a computer, have a “jump” in their Adam’s apple, or a “cold penetrating stare,” among other behaviors, according to agency documents. They can follow the passengers all the way out to the curb, noting the license plate of the car that picked them up. The air marshals note their observations in two separate reports and send the information back to the TSA. What do air marshals normally do? The TSA has traditionally placed air marshals on routes it considered potentially higher risk, or on flights with a passenger on a terrorist watch list. They have typically tracked the subjects of open FBI terrorism investigations and relayed that information back to the FBI or other law enforcement agencies. There are 2,000 to 3,000 air marshals. A TSA document obtained by the Globe describes the program’s goal as identifying “unknown or partially known terrorists” and providing “enhanced screening to higher risk travelers before they board aircraft based on analysis of terrorist travel trends, tradecraft and associations.” A TSA spokesman said this week that the program “adds an additional line of defense to aviation security” and likened it to putting a police officer on a beat where “watch and deterrence” are needed. What has the program found? So far, none of the thousands of people surveilled have been deemed so suspicious that they required further scrutiny, according to three people with direct knowledge of a congressional briefing held Thursday with the TSA. Why is the program controversial? Some are concerned that the program raises civil rights and privacy questions. “Quiet Skies is the very definition of Big Brother,” US Senator Edward Markey of Massachusetts said. At the same time, air marshals themselves have raised questions. Dozens of them have told the Globe the program seems to test the limits of the law and is a waste of resources. TSA officials were summoned to Capitol Hill Wednesday and Thursday to closed-door briefings to report on the program, and members of Congress are demanding more answers.